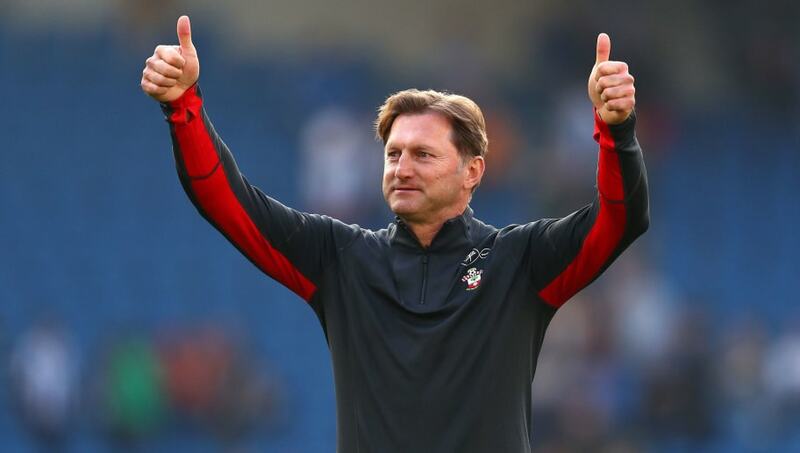 Southampton manager Ralph Hasenhuttl has stated his side are not fearful of Premier League title contenders Liverpool ahead of the Saints' Premier League clash against Jurgen Klopp's team on Friday. Both teams will arrive at St Mary's Stadium on the back of huge wins which could help define their respective seasons, with Southampton earning a 1-0 away triumph against Brighton and Liverpool snatching a late 2-1 victory against Tottenham. However, former RB Leipzig manager Hasenhuttl has admitted Liverpool's victory against Spurs as well as their record of only losing one Premier League match this season does not scare his players, adding that he hopes his team will emulate ​Liverpool's title rivals ​Manchester City in beating the Reds. The Austrian said, as quoted by ​Sky Sports​: "How they play is a perfect example of a physically strong team combined with the technical qualities, speed and good organisation, so you can think about why it is so hard to win against his team - only one team has done this and that is Manchester City. "This does not mean we are frightened, we are not afraid of walking out on the pitch. We know that we are playing at home, we know that we have the crowd behind us and they are pushing us, that's for sure. "Then you never know, there is a chance for us to turn the table and if we have this chance we have to be prepared for it and take something [from the game]." ​The Saints currently sit five points above the Premier League drop zone and could potentially play a crucial part in writing this Premier League season's narrative with a result on Friday, possibly pushing them further clear from danger while also dealing a major blow in Liverpool's title bid.